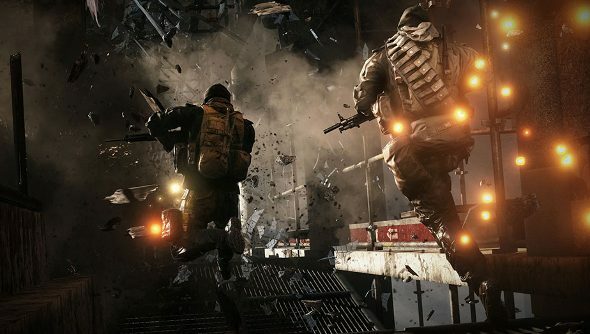 Battlefield 4 has really struggled to shake off its terrible launch. Even after countless patches and updates, it’s still got that reputation. If you’ve been put off snatching it over fears that it remains broken, then now might be the time to find out if it’s improved. EA is offering up the game for free, for a week. That’s from now until August 14th. You can download it from Origin and play the core game and it’s multiplayer without dropping a penny. If you’re still playing by the end of the week, and you want to keep doing that, then you’re in luck. The standard and digital deluxe version of Battlefield 4 are 50 percent off on Origin, while the game and Premium membership together will net you a 40 percent discount. Battlefield 4 for under £15 ain’t bad. The sale also includes the latest slice of DLC, which throws in new maps, a ballistic shield and a remote controlled vehicle. You can grab that for 20 percent less than normal.